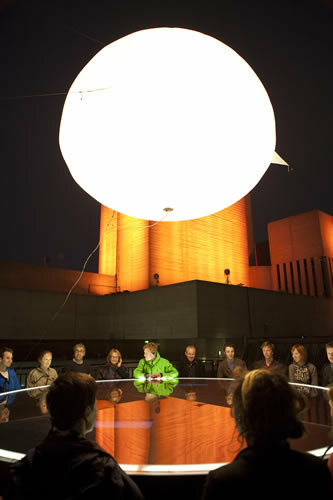 "You're sat around a large table, and you're closer to the sky than normal. Here is a space for you to picture things." 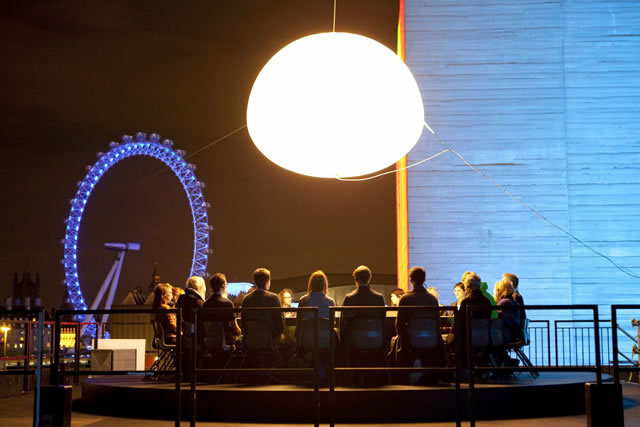 With that we find ourselves with 20 others seated around a modern-day Round Table, high up on the National Theatre’s roof, a giant illuminated orb above our heads shifting gently in the breeze. Except up here Arthur and co have been replaced by the intermingled cast and audience of non zero's you'll see [me sailing in antarctica]. Struck with the fear of forced participation, everyone is given makeshift pilot headsets and actively encouraged to make meet-and-greet eyes at the person opposite. From here on in we’re aurally connected, a montage of 20 overlapping voices that’s as crowded as the imbricating landscape we’re asked to narrate as the platform slowly rotates: the London Eye’s green aura, Charing Cross, the OXO Tower against the City backdrop, a hint of St Paul’s and finally the Shard. It’s all a little surreal but undeniably memorable, which is the theme of tonight’s performance, as we’re asked to visualise happy memories and absorb our contemporary city surroundings in the hope that one day we can recall all this with crystal clarity. The cast of five enthusiastically guide us through; tell us this, think about that, look and describe, trying to get us to really look and “live in the now”, which just falls short of an awkward show-and-tell for adults. 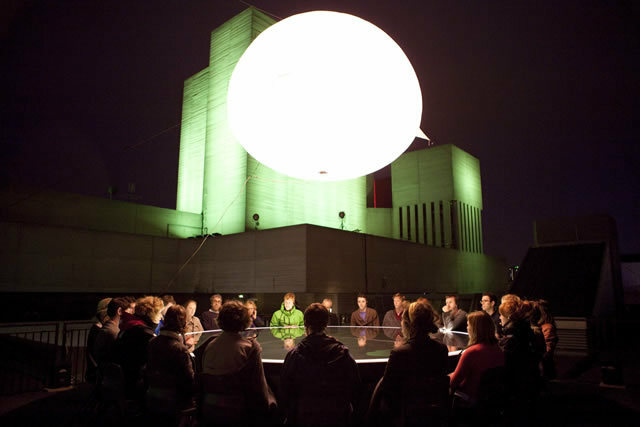 While the performance is far from revelatory, it’s quite something rotating on the roof of the National Theatre beneath a floating helium moon. Now, that’s a memory worth keeping; so job done, we guess.